For years, every 4X game I've come across has met with the same exact response: "Yeah, yeah, it's good but it's no Civilization." Warlock, Age of Wonders, Endless Space—all good, but not good enough to keep me around. After all, if I were going to put hours into an endlessly replayable 4X game, why not just play the best? And the best has been Civilization for years and years. It waxes and wanes depending on where each version is in the eternal Civ cycle of "base game/first expansion/second expansion," but it's the series I look to when I think of the genre as a whole. Until now. 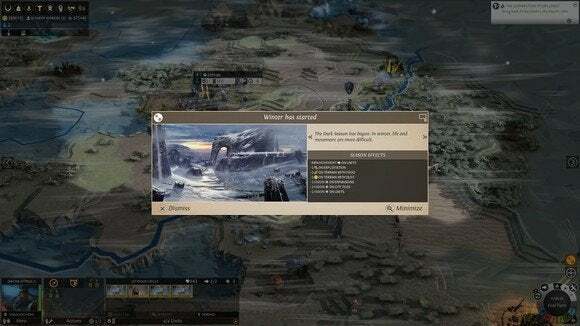 Because Endless Legend just stole Civilization's lunch money. Endless Legend is a fantasy-themed 4X game that plays out fundamentally similar to Civilization V, which is to say it plays out fundamentally similar to every other modern 4X game—eXpand, eXploit, eXplore, eXterminate. And if it were just a polished Civilization V clone that'd probably be enough to get it some sort of notoriety this year regardless, since Civilization: Beyond Earth is at the beginning of the base game/first expansion/second expansion cycle. There are undoubtedly a lot of similarities—luxury and strategic resources, hexagonal tiles, et cetera—but Endless Legend makes four key tweaks to the formula that dramatically change how the game plays, and mostly for the better. The differences between Civilization's various factions are more apparent from an AI standpoint than a player standpoint. Oh sure, each has an individual unit or two and perhaps an individual building, and each has a bias towards a certain style of play. 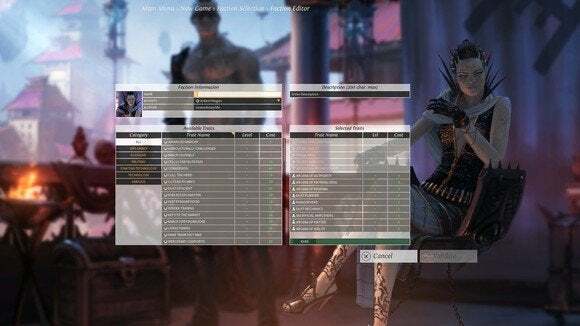 But in many ways playing as the English isn't too dissimilar from playing as the Chinese. 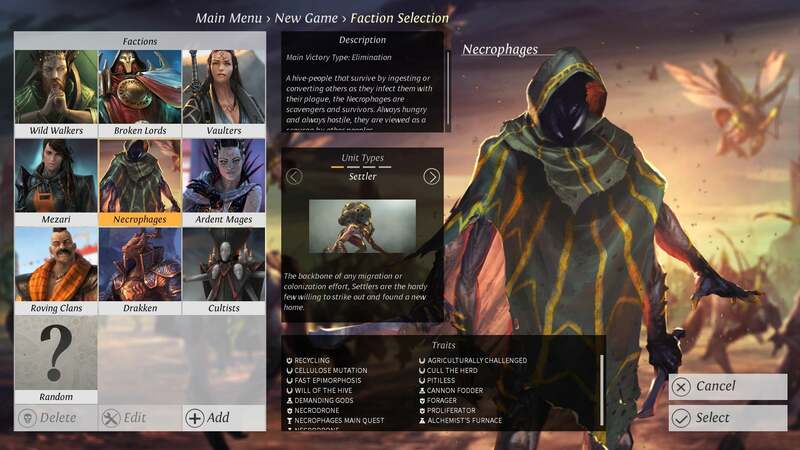 Endless Legend's factions are intimidating for a first-timer. There are eight of them, each heavily favors a specific style of play, and coming into the game you have no idea what a Necrophage or a Wild Walker means for you. The lore for the Necrophage faction, for instance, says "A hive people that survive by ingesting or converting others as they infect them with their plague, the Necrophage are scavengers and survivors. Always hungry and always hostile, they are viewed as a scourge by other peoples." What does this mean to you as the player? You get zero diplomatic technologies, and once you declare war on a faction you can never arrange for peace. Ever. No other faction plays this way. It's entirely unique to the Necrophage. The Necrophage leader says "Let us see if our empires can live together in harmony." The Necrophage leader lies. On top of that, each faction has a specific main questline to progress through. These aren't too complicated really—go here, capture this, scan that—but the bits of flavor text in between give some great world-building context to Endless Legend's universe and help further delineate the various factions. There's also a pretty extensive faction editor where you can change which traits you have, creating basically an infinite number of starting points. Feel bad for the Necrophage and want to turn them into a peace-loving community of scientists? You can do that. To some extent this is something Civilization doesn't even have to contend with. Because the series is based in history, there's a predetermined context to what it means to play as France or Germany or the United States. 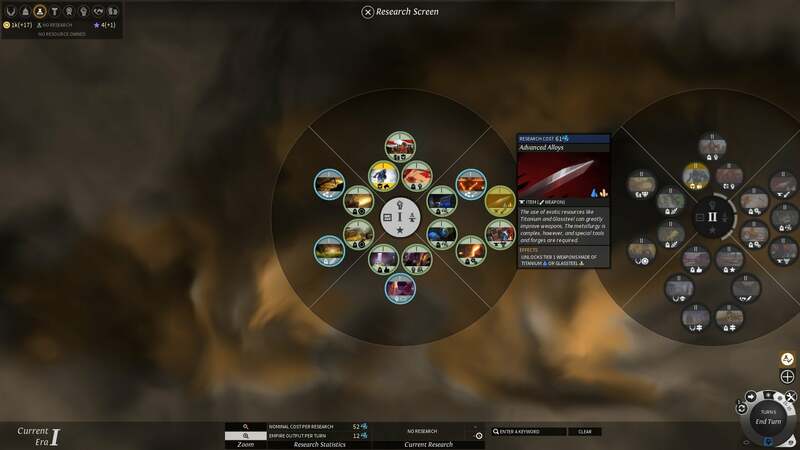 It would've been nice to see in Civilization: Beyond Earth though, to help distinguish the quest system between playthroughs and build personal connections with each colonizing corporation. To go along with your main storyline, there's a specific Hero character tied to your faction. This is a system that seems to be cropping up more and more in 4X games, but there's still no Civilization equivalent. The hero is basically a superunit that you upgrade like a character in an RPG, with a skill progression tree, equipment, and the like. Your other units also have equipment though, which surprised me. There are basic pieces of equipment that any faction can buy, though more advanced effects require access to strategic resources. The system gives you more control over the specific direction your basic units take, helping distinguish them a bit. Combat itself also plays out differently than any other 4X game, though I'm not sure if I'm in love or not. Unlike Civilization V, Endless Legend still allows unit stacking. 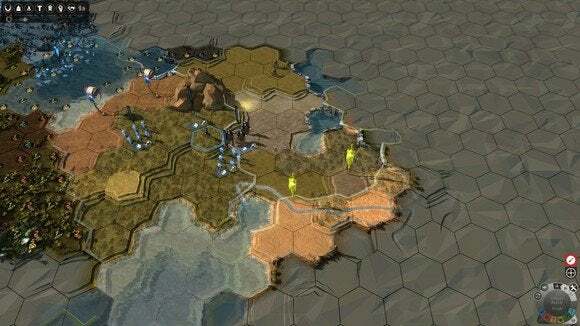 When one stack of unit meets another, however, the rest of the campaign map freezes and units fan out across the surrounding tiles for a "deployment" stage. Here you still have full control of your troops, setting them up in optimal positions and taking advantage of any terrain bonuses. However, once the battle starts you can only "suggest" whether your troops attack or defend, and what units they target. This lets the battle move slightly faster, but also removes pinpoint strategy from your hands and makes you feel more like a spectator than an active participant. My other main complaint is that the enemy AI needs to be a bit more aggressive. There were times I could've been wiped out if my opponent had pressed on, but in many cases the AI demonstrates all the fortitude of a Union general in the early days of the Civil War. Research progresses differently than Civilization also. Instead of having one giant tech tree (or the "tech web" as in Civilization: Beyond Earth), Endless Legend has six research stages or "eras." You need to research nine technologies in each era in order to unlock the next one. There are no prerequisites or progressions—you just choose a technology and research it. You could skip researching military technologies for four eras and then concentrate solely on that in the fifth if you wanted, or spread across all four research concentrations (Science and Industry, Economy and Population, Empire and Expansion, and Military) for the whole game. And unlike Civilization, technology costs are based on however many you've already researched. Whether you choose to research Advanced Alloys or Empire Mint as your fifth technology, they'll cost the same. Finally, there's empire expansion. Civilization V overhauled this by making it more costly to establish new cities, overhauling Civilization IV's city-heavy strategies. 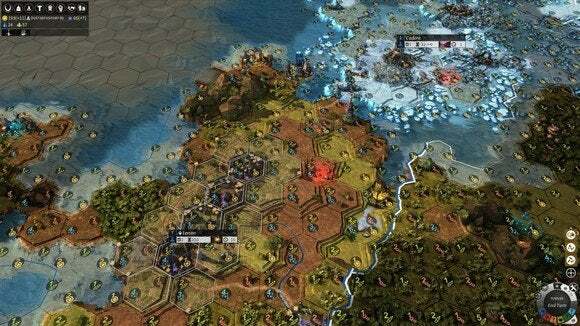 Endless Legend divides the world into multiple regions, and each region is allowed to contain a single city. Want more cities? You'll have to go pretty damn far out of your way. And since you own the whole region already, there isn't the automatic border-spreading that occurs in Civilization. Instead, to exploit more tiles you'll need to build boroughs—little three-tile expansions that add more hexes onto your city. It's an interesting feature that has a lot more depth than the usual Civilization system, but is also extremely easy to screw up if you're not thinking ahead. There's also a summer/winter cycle that can wreak havoc on your best-laid plans. During winter your production and food intake take a huge hit, which can screw you if you've timed your turns out "perfectly." The game gives you a broad estimate of when winter will next occur, on the order of "7-19 turns." You can research technologies to narrow that range down a bit if you don't want to suddenly find yourself waging a land war in fantasy-Russian winter. I haven't even gotten around to discussing Endless Legend's art style, which combines pastel colors with a tilt-shift effect to make the whole thing look like an exceedingly complicated board game. It's gorgeous. 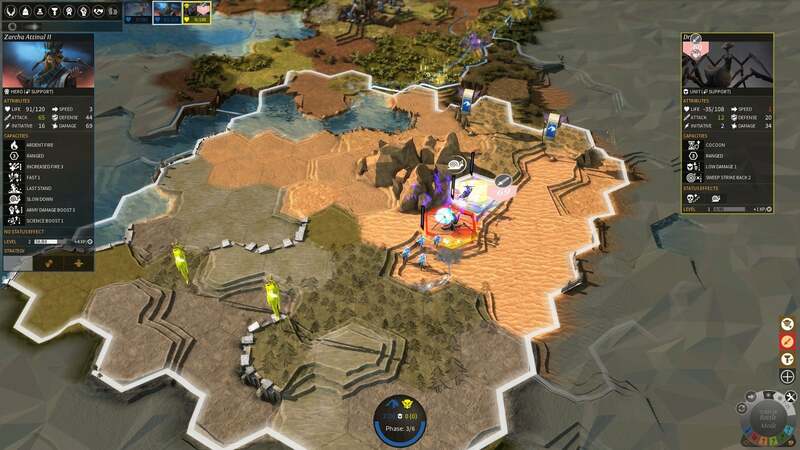 Endless Legend isn't perfect, but it's the strongest Civilization competitor in years. 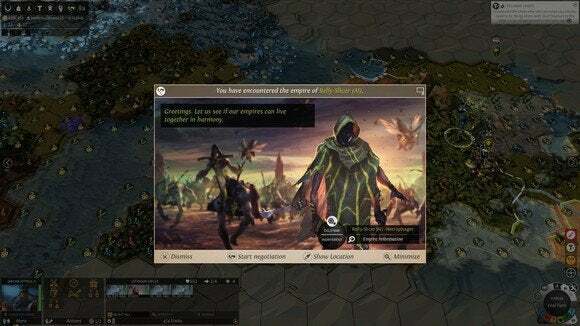 The tweaks to the 4X genre are relatively small, but they're important—both because they reveal a significant number of areas Civilization could improve and because they add a ton of depth to Endless Legend itself. This is one I'll keep returning to this winter, and for the foreseeable future. Endless Legend makes a few notable tweaks to the 4X genre and steals Civilization's lunch money in the process.